COMPASSIONATE CLIMATE ACTION: Did World Water Day Flow Past You, Too? 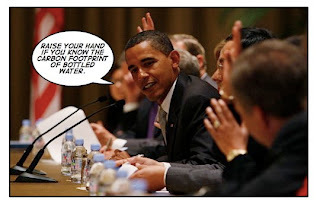 Yesterday was World Water Day 2010, and it passed me by with far too little fanfare and engagement. Under the theme “Clean Water for a Healthy World”, World Water Day 2010 saw a series of initiatives organized around the globe to raise awareness and emphasize the key importance of good water quality in improving human well-being. The global event was a call for action on pollution prevention, clean-up and restoration of waterways in order to sustain healthy ecosystems and human well-being. • An investment of US$20 million in low-cost water technologies, such as drip irrigation and treadle pumps, could lift 100 million poor farming families out of extreme poverty? • Repairing leaky water and sewage networks can also secure not only supplies but reduce pollution and generate employment? In some developing countries, 50-60 per cent of treated water is lost to leaks and globally an average of 35 per cent is lost. By some estimates, saving just half of this amount would supply water to 90 million people without further investment. • Globally, 2 million tons of inadequately treated sewage and industrial and agricultural waste are poured into the world’s waters every day? • At least 1.8 million children under five years-old die every year from water-related diseases, or one every 20 seconds? • More people die as a result of polluted water than are killed by all forms of violence, including wars? • Over half of the world’s hospital beds are occupied with people suffering from illnesses linked with contaminated water? • One of the most significant sources of water pollution is lack of adequate sanitation. Worldwide, the World Health Organization (WHO) and the UN Children’s Fund (UNICEF) estimate that 2.6 billion people — 280 million of them children under five — live without improved sanitation, and each year more than 1.5 million children die from diarrhea caused by infectious waterborne diseases. It is a crisis of local challenges with global repercussions. • The planet’s most widespread water-quality problem is nutrient enrichment. Largely caused by nitrogen and phosphorus from agricultural runoff and human and industrial waste, nutrient enrichment results in excessive plant (principally algae) growth and decay that robs the water of oxygen needed for many aquatic organisms to survive. • It is almost always cheaper to prevent pollution than clean it up — and poor water quality has significant economic costs, from ecosystem and human-health costs and impacts on economic activities to increased water treatment costs and reduced property values. For example, economic losses as a result of health impacts from the lack of water and sanitation in Africa are estimated at US$28.4 billion, or about 5 percent of GDP. And sanitation and drinking water investments have high rates of return: for every US$1 invested, there is a projected US$3-$34 economic development return. • Freshwater ecosystems sustain a large number of identified species, including a quarter of known vertebrates. Such systems provide more than US $75 billion in goods and ecosystem services for people, but are increasingly threatened by a host of water quality problems. Yikes! What are we thinking? More importantly, what are we doing about this? Not much, at least not here in The-Land-Where-We-Take-Water-for-Granted. I suspect that here in northern North America (I can't speak for Mexico), we will take our precious fresh water resources for granted until the day before they "betray" us! • put investor and consumer pressure on corporations that pollute waterways. Sounds a lot like what we're trying to achieve in order to mitigate the climate change emergency. Hmmm, maybe we could do all these things together ... after throwing all the fossil fuel and Big Money crooks in jail perhaps?